Coventry is now one of the UK’s top ten universities for employment rates – its highest ever placing – according to new government figures. 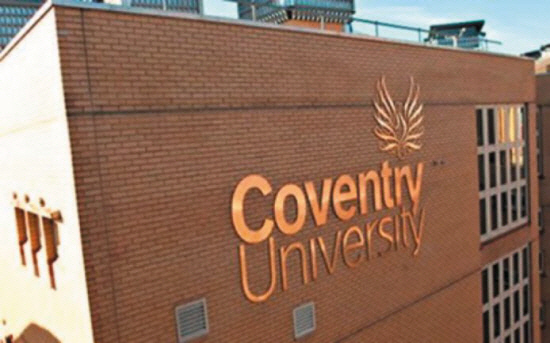 Some 97.1 per cent of Coventry students were either in work or further study six months after they left university in 2015/16, according to latest data from the Destination of Leavers from Higher Education (DLHE) survey. The figures – for students on undergraduate degrees – showed an improvement of three per cent on the previous year’s data. Coventry is placed eighth in the latest tables when specialist institutions such as art colleges and conservatoires – which do not feature in university league tables – are removed. Its absolute ranking is 13th. The success comes just a few weeks after the university received the highest accolade of a Gold rating in the Government’s new Teaching Excellence Framework (TEF), which ranked how well students are taught across UK universities. And in May the university was placed 12th in the Guardian University Guide 2018, its highest ever position. Vice-Chancellor John Latham said: “A key part of the university’s mission is preparing our students for employment in a highly competitive global market, equipping them with the tools and skills they need to find jobs and thrive in their future careers.